We are coming back for more! This event will be bringing you hot new music, special guest dance performances, art gallery, sound healing and more! This will be a collaborative creation of music, art, dance and connection. Come celebrate with us! Fusion partner dancing will be in full effect. Weave through the dance floor and create your own dance adventure. Expect top quality DJ’s to be bringing the best beats including hip hop, trap, r&b and more. Solo dancing is always welcome too! Dancing with a partner is not required. 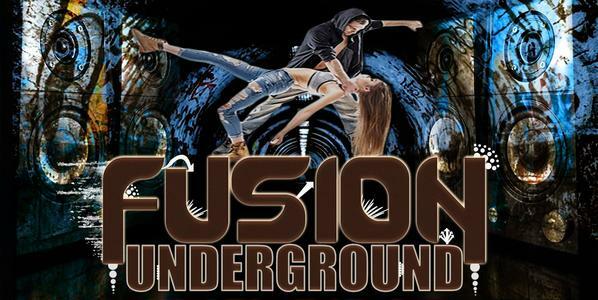 At Fusion Underground, we care about your experience and comfort. This is an inclusive event, all races, genders, sexual orientations, dance backgrounds, folx with special abilities or disabilities are all welcome. We have formed a Care Team who will be on call for support to anyone who might need it or maybe you just need a hug! There will also be an upstairs lounge-our famous squish lounge for you to rest and replenish your energy. We also have delicious catered snacks and goodies. Have questions or feedback? Want to volunteer or participate? Contact Joe Gray - [email protected] - for more info.